LOCATION.--Lat 40°51'26", long 73°27'48" referenced to North American Datum of 1983, Nassau County, NY, Hydrologic Unit 02030201, on left bank 270 ft upstream from State Highway 25A, at Cold Spring Harbor Fish Hatchery, and 1.0 mi southwest of Village of Cold Spring Harbor. PERIOD OF RECORD.--July 1950 to current year. REVISIONS HISTORY.--WDR NY-81-2: 1954 (M), 1958 (M), 1962-63 (M), 1971 (M), 1978-80 (M). WDR-US-2009: Drainage area. GAGE.--Water-stage recorder and concrete control. 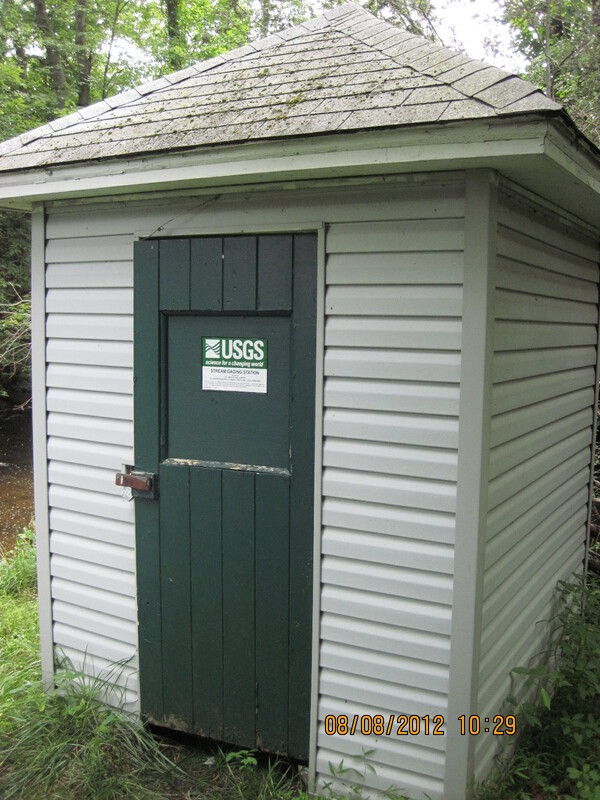 Datum of gage is 5.38 ft above NGVD of 1929 and 4.33 ft above NAVD of 1988 (VERTCON). REMARKS.--Flow occasionally regulated at outlet of pond 40 ft upstream from station. Diversion from this pond by Cold Spring Harbor Fish Hatchery bypasses station, except during the 1979 water year. Satellite gage-height telemeter at station. Water years 2014-17: Records good except those for estimated daily discharges and those above 100 ft³/s, which are poor. EXTREMES FOR PERIOD OF RECORD.--Maximum discharge, 181 ft³/s, Jan. 21, 1979, gage height, 1.99 ft, result of regulation, from rating curve extended above 80 ft³/s; maximum gage height, 5.55 ft, Oct. 29, 2012, from high-water mark, result of storm tide; minimum discharge, 0.15 ft³/s, Dec. 1, 7, 1983, Mar. 6, 2007, result of regulation; minimum gage height, 0.06 ft, Dec. 1, 7, 1983, result of regulation.